Samurai Japan holds press conference in Tokyo to launch 15U World Cup National Team. 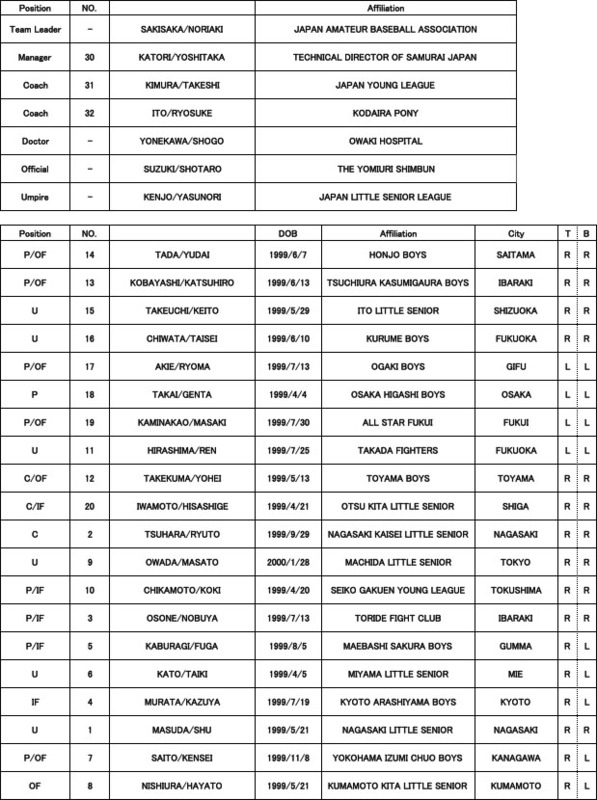 TOKYO, Japan – The Baseball Federation of Japan and its affiliate Japan Amateur Baseball Federation (JABA) announced the names of twenty players of the 15U ‘Samurai Japan’ National Team that will compete against seventeen of the world's best countries at the II 15U Baseball World Cup, being staged in Sinaloa, Mexico from 31-July to 10-Augst. BFJ/JABA’s conducted a search for talent that extended to 36,000 players from five Junior High School Baseball Leagues affiliated with JABA. At a press conference held at the Baseball Hall of Fame and Museum to announce the National Team, Yoshitaka Katori (57), former pitcher for NPB's Yomiuri Giants and Seibu Lions, along with JABA Secretary General Noriaki Sakisaka and three young players declared resolve to become the world champion. Although pitchers will be faced with challenges because of IBAF’s international rules – nine innings instead of seven -- Katori pointed out that most of Japan's twenty players can play any position, including pitcher. Katori was confident that the Samurai selection should be able to overcome any difficulties [in relation to the nine inning format]. 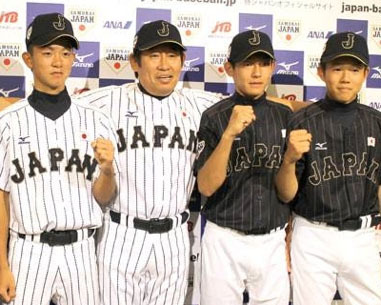 Members of the 15U Japanese National Team will train together under Head Coach Katori for three days in Narita before departing for Sinaloa, Mexico on July 28. Japan is currently ranked No. 2 in the IBAF World Rankings.